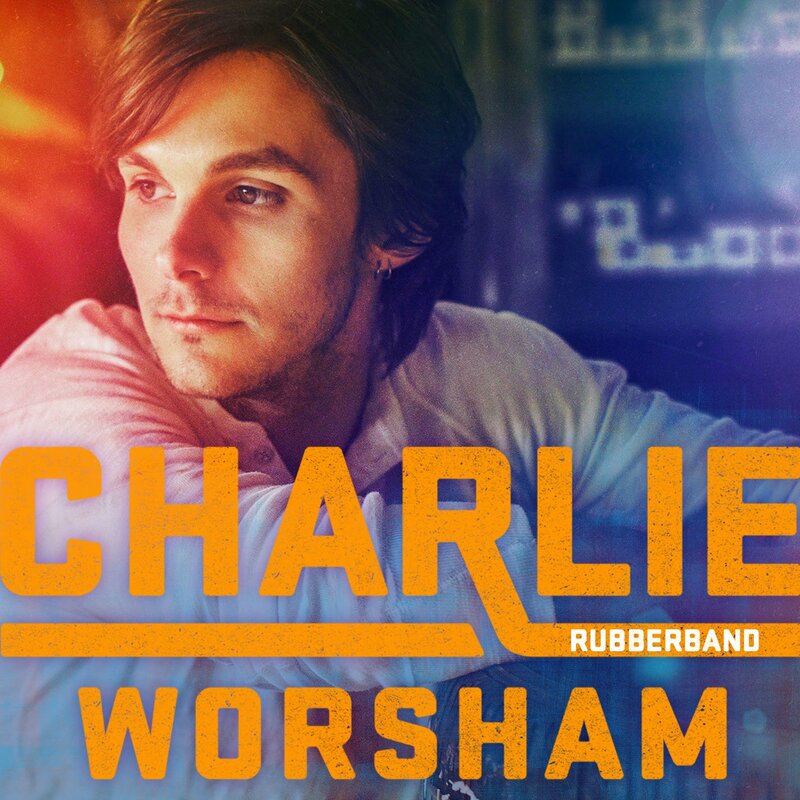 Entirely co-written by American country music singer-songwriter Charlie Worsham, 2013 marked the release of his debut album Rubberband. From the start of album opener Could It Be you know you're in for a treat, Charlie's vocal is very smooth and it really sounds as though he is completely comfortable. The production on the track is upbeat without feeling excessive, a solid drum beat giving Could It Be a strong (and very catchy!) pace. Definitely a very strong lead single in my opinion, it's a shame it didn't chart higher. There's a rocky edge to the overall sound of Someone Like Me that is really appealing. Charlie doesn't have an incredibly gritty voice compared to some of his contemporaries but he finds a different side of his voice in Someone Like Me that is complimented by the heavier drum line and electric guitar. Madi Diaz's backing vocal combines really well with Charlie's, whilst we don't hear very much from her it is strong in that it adds another dynamic to the chorus which is sure to interest listeners. You can also hear a softer side to Charlie's vocal at various points in the album, How I Learned To Pray really standing out for me. It's beautiful in it's simplicity, Charlie oozes emotion into the lyrics, the production is interesting enough to add a strong backdrop without loosing the emotion of the track and lines like "I can hold my hands and bow my head but there's just something's that can't be said without a little walk on water kind of faith" create a really touching story. It is also the first time we hear a softer track from Charlie on the album, making it stand out even more. How I Learned To Pray is truly a gorgeous track, it really encourages you to take everything in and is one I have certainly repeated numerous times! Through album closer Love Don't Die Easy Charlie manages to make the listener want to immediately go back to the beginning of the album and play it all over again. I would love to see more collaborations between Charlie and featured vocalist on this track, Sheryl Crow. Both of their voices suit the production of Love Don't Die Easy and also work well together, both with a sense of strength that makes for a very strong track. Personally I didn't really like the album's title track. The production and vocals don't really seem to gel and I feel as though there are better (and more compelling) lyrics on the album. There is nothing intrinsically wrong with Rubberband, it just, unfortunately, doesn't have the draw of the other tracks on the album for me. Well I'm a modern country music singer. I grew up in Mississippi but I can't help but be effected by the roots music that I grew up around, the blues, some bluegrass. The way it comes through in my songs, I'm lyric driven, I love to tell a story the classic country way but I've always been a picker and so the guitars and the arrangements and the parts are a big part of it and I hope when listening to my music that people can gather that I'm from Mississippi and hopefully there's a little bit of that magic dust that so many people from Mississippi found a handful of, Elvis or BB King, all those legends. I hope I can get just a tiny sprinkling of it along the way! You co-wrote every song on your first album, which song-writer would you like to work with that you haven't already? You know, that's a really great question! I actually don't know that I will end up being a writer on all of the songs on this next record. I've listened to some outside music that I love and that's a new challenge for me, learning how to make someone else's song my own. But the more I write and have been lucky in the last few years to write with heroes that were on my song-writing 'bucket list' I guess you could say, the more I try to write more by myself because early on I got a chance to write with some of my heroes and I didn't understand at the time that I wasn't ready to write with them. So here lately I have spent a lot of time writing alone. There will always be people I hope to write with whom I haven't written with yet but at the moment I'm trying to write more with myself, to get better. Oh man...If I could go back in time, I would...I'd love to hang out with Jimi Hendrix when he was in the UK. I don't know if I'd want to tour with him, maybe open for Little Richard when Jimi Hendrix was his guitar player [laughs] I don't know, there's so many! I have so many idols. I've been fortunate to even tour with some of my idols, Vince Gill is my all time hero and he took me and Ashley Monroe out earlier this year, not to open but to be in the band with him all night and play each other's songs together. That was a really life changing experience, riding the bus with a Country Music Hall Of Fame-r and hearing stories from him in the front lounge of that bus. So the dream tour for me...I'm open to options! [laughs] I kind of feel like I've gotten to do it in a way already, being out with Vince, but I love Keith Urban, I'd love to tour with him. I love Tom Petty, I love so many. You'll have to convince Keith to come over here! There are some great collaborations on your album, can we expect more of that in the future? I think absolutely. I'm actually going to be recording my album a couple of weeks before I jump on a plane to Dublin and start this tour. It's coming up in a couple of weeks. We're going to start with a really small band in the studio and try to cut as much of it live as we can. But my producer Frank Liddell, who works with Miranda Lambert and others, is very big on harmonies and vocal arrangements and I'm sure he has some really fun ideas for collaborations. I don't know who it'll be yet but that's kind of exciting! Yeah! That's always fun. I was on a tour in Canada in the freezing cold in February and a mutual friend of ours shot me an email about singing on that and of course, I heard the song and immediately said yes please send me the files. I had a little recording setup with me and so in a dressing room somewhere in Saskatchewan I put that vocal on there. I just think she's brilliant and it's so good to hear females in country music these days. We don't always get to hear enough of those really talented beautiful women. You're set to head over here to the UK shortly, do you plan to make that a regular tour stop? I do! I've wanted to for so long and I can't believe it's taken me this long. My first album...I thought that last year I would be releasing my second single and it would go to number one and we'd put out another song that would go number one and another song, so we booked the road very heavily. Then my singles kind of died and it was decided that it was time to make a new album rather than put more music out on the current album and the more time that passed I thought 'good Lord I need to go over to England' because my bass player at the time last year had been in Kacey Musgraves' band when she first toured and he was telling me stories about songs she would play in the set that weren't even available, you had to go and find them on YouTube and that the audience would sing every word to that song because they had basically done their homework. That really knocked me out, I'm not trying to knock my own home country's audiences because we have great audiences in the States but you would never hear of that for a first time concert here in the States, where everybody in the whole crowd plans, that's a part of the experience for them. That really really charmed me and I've got to come and see what it's all about! You've hinted at a few more tour dates via social media and have announced some more, are we likely to see further dates this tour? Where is your favourite venue to play? Which was the hardest song to write on Rubberband? Do you have a set system as to how you go about writing songs or does it differ every time? It evolves, I find patterns and I get into patterns. The one thing I do make a habit of is that I try to fill a whole page, whether it's as unorganised as a journal entry or as organised as a full song lyric, I try to wake up every morning and fill a page with lyrics. Of course you're always listening for ideas for songs, someone will say something that sounds kind of funny and hits you in a different way and so you jot it down and save it in the stack of ideas. But it always changes, it depends on who I'm writing with. Some people are very music driven and some people write very fast, others will sit in silence and solve the riddle of the lyric like it's a crossword puzzle , it really depends on the day. You mentioned you're heading off to the studio to record your next album, do you have any news on when we can expect that to be released? Well oh...not really! I've got my fingers crossed for 2016 but you know in country music in the States radio is a long long long patient journey and for new artists a single can take an entire year or more to rise up the charts and if we go in in a couple of weeks and we record and we hear the first single and we mix it up and we have it out early next year it could be this time next year before we're able to even set a release date and that's just part of it. So I don't know...but you never know! Maybe I've got something that will take off like a rocketship and that'll push the date up sooner, but hopefully some time next year. What can listeners expect from your new music that they haven't necessarily heard before? Oh more Mississippi! There's an old saying 'you have your whole life to write your first record and ten days to write your second'. I spent this year writing for this second album and I've really tried to put all of my bets on getting more and more personal. The disappointment and heartache of the first album cycle not happening the way that I would have dreamed in terms of massive success, that storyline is definitely going to be a big part of this album. But also, coming to a place where I'm just grateful to play music for a living. I've sort of fallen back in love with music this year and I think, if not told in the lyric, it'll certainly be heard in the playing of this album. There's a song about going home, Interstate 55 is the road that I take home, so I wrote a song that is all about my home town. I actually just played it on the square in my home town and it was a really really fun full circle moment. It'll be more Mississippi for sure. I'm very excited to get these songs out into the world, be it live or the record itself. The fact that music is a universal language and the friendships you make and the people you meet are pretty special. I think a close second is the travel, I've been to England a number of times over my life, I've been to Ireland three times...there's an old Guy Clark song off his record "Dublin Blues" , it's called "Stuff That Works" and I heard a guy sing that song in a pub in Western Ireland and I thought that he had written it, he sang it like he had written it about himself and it wasn't until years later that I heard the Guy Clark version and made the connection. Even that guy right there, I'll probably never see him again but he touched me with music and it was a permanent impression on who I am. I remember the smell and the taste of the air and the sounds of that music in that pub so I look forward to being back but with a guitar in my hand officially and make more of those memories. You can't beat that for a perk of the job of playing music. Who would you pick as an artist to watch at the moment? Oh man...the cat might already be out of the bag but Maren Morris is just a really talented lady. I think she's about to set the world on fire. I think y'all already know about Mr Chris Stapleton but I always want to spread the news about him for people who haven't heard. Those are really the two right now....you know what, Brothers Osborne. There's a band called the Brothers Osborne. I think some people are starting to hear about them but I just want them to be the biggest thing in the world. I just think they are the absolute best. Oh man...further down this same road. I would just love to still be doing this and still be as in love with it ten years from now as I am today. It's really just the same places but with more people and maybe bigger rooms, that would be nice. To be able to bring my band overseas. Music has literally taken me around the world already, I just want more trips, more times around. Are you coming to the UK on your own in November? I am! It's just me with an acoustic guitar. I'm packing a little amplifier and hitting the road. Going to plug the acoustic into the amp and run some loops and it should be just crazy. Hopefully it'll be unlike anything folks have heard. Thank you to Charlie for his time! You can find details for his UK tour on his website here. He makes his next album sound very exciting, I certainly can't wait to hear it! Until then I would definitely recommend purchasing Rubberband. It is a really impressive album from an under-rated talent and certainly deserves to be heard.